Built by hand in the Savvy Rest wood-shop located in Central Virginia. This unique boxspring foundation is more than that, it is a platform built to not only look like a foundation or box spring but more importantly replace the need for a foundation or box spring. 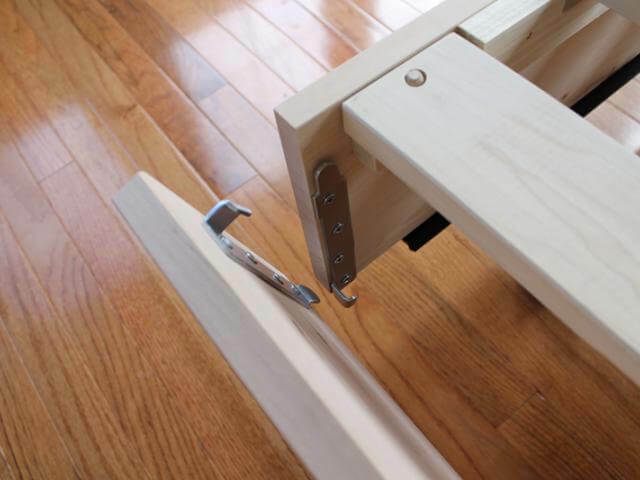 Constructed of solid maple framing and hardwood poplar slats this insert fits directly inside your current steel bed frame or existing headboard, footboard, with wooden side rails without changing a thing. 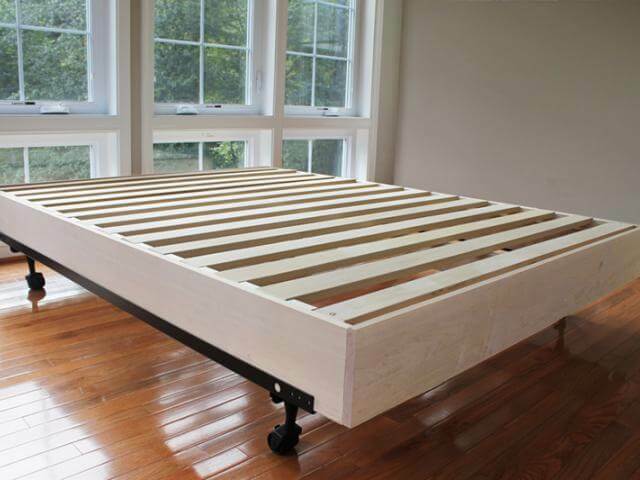 Another thing to consider is that it can even be used to add extra height to an existing platform bed. 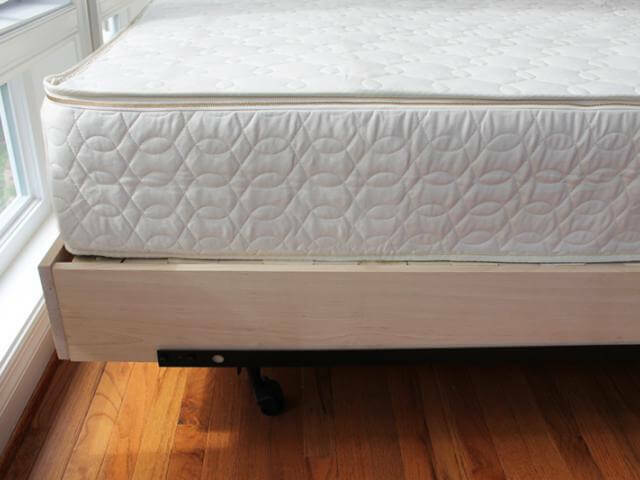 Proper mattress support is critical for any mattress but especially today,s. Most new mattresses are expensive and have required warranty requirements. Our fourteen hardwood slats exceed the required support for nearly every mattress made and not only provides adequate support and “breathability” to any existing frame but comfort and longevity to your investment. 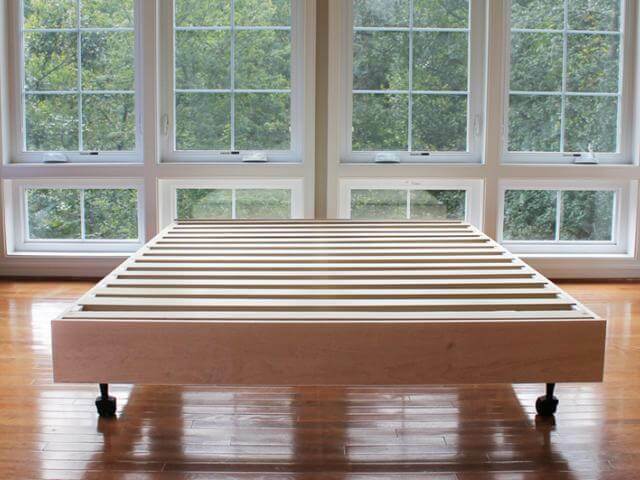 Our super strong platform bed uses intuitive hardware making assembly easy and no tools are needed.